EvaBank Fraud Alerts will automatically alert you of suspicious activity on your EvaBank debit card. EvaBank now offers debit card monitoring to help detect and block fraudulent activity. 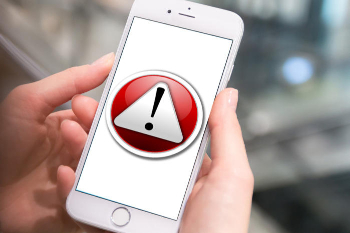 Fraud Alerts will automatically alert you by phone, text, and email to suspicious activity on your debit card. In order to receive text alerts, we must have your current cell phone number on file. Please review the FAQs below for more information or contact us. EvaBank monitors your debit card transaction activity and will send you an alert to verify that transaction with you. In certain situations, we may block your card until we receive confirmation from you that transaction in question is legitimate. The quickest way to respond to these alerts is through text messaging. How do I enroll in Fraud Alerts? All debit card holders are automatically enrolled in Fraud Alerts. We utilize home numbers, cell numbers, and email addresses that we have on our system to send alerts to customers. How do I know if the SMS texts I get are from EvaBank? Fraud Alerts SMS messages will be sent from 47334 to the cell phone number we have on file. We will provide a short message about the transaction in question. We will only ask if you conducted the activity or not. We will not ask you for your account number. Once you confirm or reject the transaction it will give you a phone number to call if more information is needed (833-256-2824). This phone number will forward to you our main office in Cullman, AL. Fraud Alerts will use the automated IVR system and call the home phone number we have listed as on our system. You will only be asked if you conducted the activity or not. How can I stop the text alerts? While we do not encourage customers to do this, you may text the word STOP to 47334. If you stop your text alerts, your home phone number will be called by the automated system. Your card may be inactive until you respond to that alert. We do not recommend that you opt-out of the text alerts. To re-enroll, text the word evabank to 47334.